Have you stoped buy the pet store at the shopping center and saw the most beautiful birds and other tropical pets. 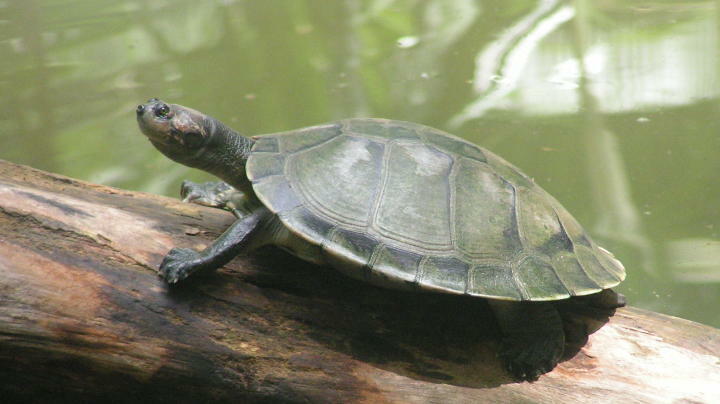 How about a exotic turtle? We do not have to go to the pet store or zoo to see such beauty, they are in our backyard. The people here love them as much as you do. They are prized pets. 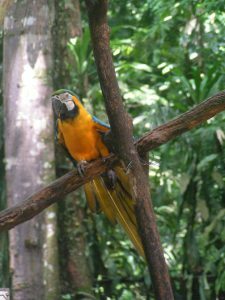 The macaws can live as long as a human. If you rent a place that has a macaw, there are conditions in the rental contract for you to care for the bird. The real owner of the property is the macaw who is protected under law. No you can not take these birds or many other animals out of the country but local do have them as pets. Monkeys are fun as they swing around the house climbing up trees and walls at someone’s home. Now we have done some traveling since we have been living in Brazil as missionaries. It is always fun to visit a zoo and see displays of animals from Northern Brazil, they are just common animals to us. I guess that makes us tropical too.